The project of the French yacht designer Marc Lombard, is also collaborating with «RM FORA Marine» and «JEANNEAU». 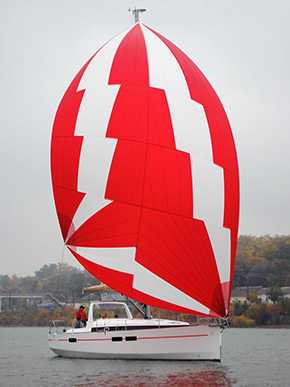 New Scythia-35 is completed with Ullman Sails. Also we made Lazy Pack for her.